With great automation tools comes great responsibility. Awario, Buffer, Crowdfire, Hootsuite, IFTTT – there are so many apps that are ultimately made to make our lives easier. And they do – automating a set of tasks saves loads of time and makes social media marketing more organized and less impulsive. However, you need to know the rules before letting robots handle your work. More precisely, you need to know what NOT to do. And that’s what this post is about. It’s a common practice, and it is absolutely harmful. 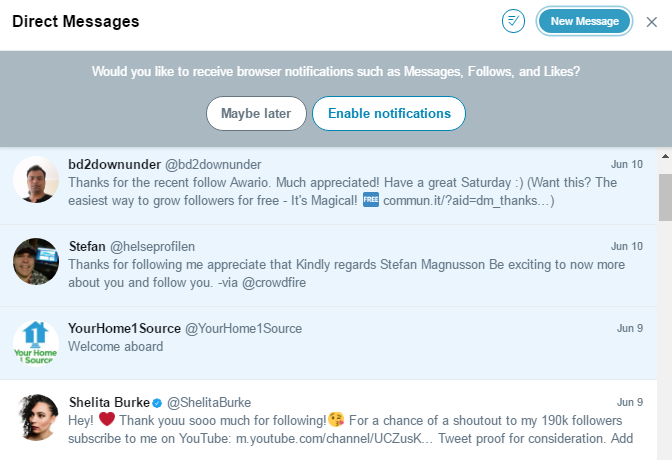 Direct messages from companies are seen as spammy by almost every user these days. Especially, because they usually come with the same text: “Thanks for the follow, check out this link…”. Never have I ever checked out the link. Moreover, some messages even come with the app’s signature, e.g., “- via @Crowdfire”. This shouldn’t happen. Some marketers try to avoid the negativity by admitting that the messages are scheduled and asking for forgiveness in advance. Or inserting hearts and gifs. While that is cute, and I do open these messages once in a while, it’s still not helpful in any way in terms of any real traffic acquisition. DON’T automate interactions with your customers. I’ve seen different kinds of attempts to automate interactions with customers. Some brands use tools that reply to mentions of their brand with something specific. For example, a “Thank you” comment to positive mentions and an apologetic one to negative mentions. There are dozens of problems with this approach, from customers simply seeing you as not caring and not trustworthy to awkward situations where you’ve replied with “Thank you” to a sarcastic message. 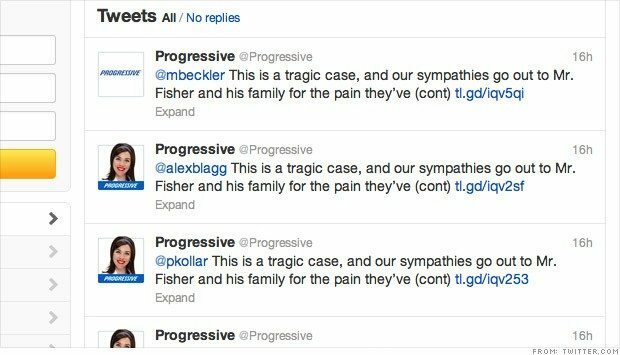 This, for example, is a classic example of a social media fail due to heartless automation. Engagement, especially in case of emergency, must be handled with human involvement – there is no way around it. Same goes for automating likes, comments and retweets. Whether you’re having robots commenting “nice post” to every article of your influencers, or share their every post, it won’t have a positive effect you’re hoping for. Your every activity will be soon perceived as spammy, and people will start unfollowing you before you know it. “Liking” something on social media without knowing what it is is quite risky in the world of marketing as well. Your trusted influencer who mostly posts beautiful photos and camera reviews might also post controversial political opinions that you don’t actually “like”. Another engagement activity I sometimes see is automated tweets to people with specific hashtags. The automated messages are usually some kind of question. The idea is, of course, to increase engagement. So, for example, in my Twitter Bio there’s an #SMM hashtag, so I get tweets such as “Hi, what are you working on?” Firstly, this might easily not be a relevant question, as broad as it seems. A person might have their project in their bio – many do that. That would mean for them that you haven’t actually bothered to even look at their profile before approaching, and that’s not a good thing. However, if you’ve tested this strategy and figured that despite some failures it does grow your following, at least do one thing: reply to people who have commented on your automated question manually. A very common situation is when engagement stops at asking the question. That is understandable from a marketer’s point of view: you get hundreds of replies to mass comments, it’s pretty hard to engage with everyone. But in that case, don’t automate engagement! Go through the people who’ve followed you and choose the ones to talk to. That’s how social media is supposed to work anyway. I get it, social media marketers share dozens of articles in a week. It takes time to find them, it takes time to read them. So when you finally find that blog that seems to share only the relevant stuff, you just want to automate the process and forget about it forever. Well, it’s really better not to. Every blog shares irrelevant and promotional articles more often than you expect it from them. You’ll end up selling someone else’s product before you know it. 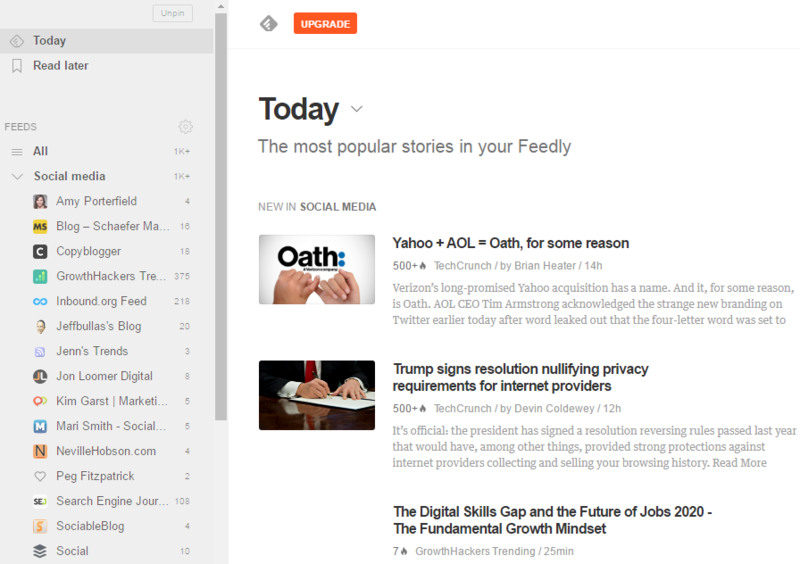 Instead, use a service such as Feedly. 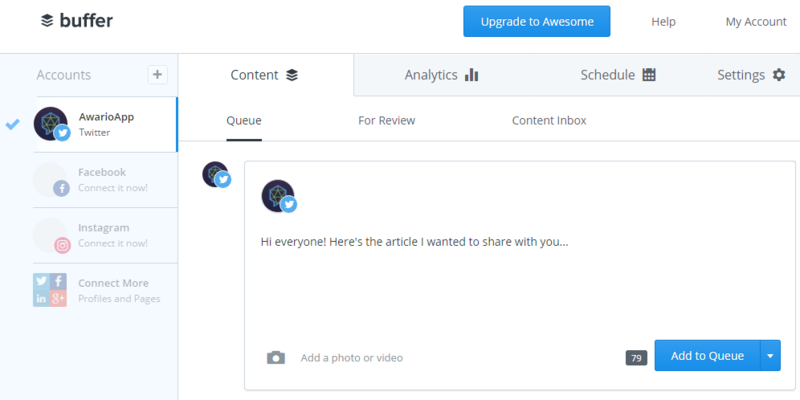 It will show you all relevant new articles on one dashboard so that you can at least look them through before sharing. These are the main pitfalls of social media automation. Does that mean that you should avoid automation like people avoid gluten these days? No, of course not. Without some automation involved, your social media marketing strategy will either involve loads and loads of confusing Excel files, or will resemble your personal Facebook profile, on which you just post something when you feel like it. These are other pitfalls that often happen to companies that have just started with social media. Besides, of course, it takes much more time with no automation. Some say eternity. DO automate your posts schedule. After some initial analytics is done, you know what times are best for your posts. Use Buffer or Hootsuite to schedule your posts. This will ensure your posts are released regularly and on times that suit you best. Think twice about what kind of posts are safe for automation. Usually these are your blog posts, evergreen content, some kind jokes and relevant images. However, don’t automate for too far ahead, always remember about automation going on, and don’t let it run if something goes wrong with your product/event. DO automate social media analytics. Remember how we talked about eternal Excel files? To avoid that and still know what’s working, you’ll have to automate your social media analytics. Use Awario to look at the growth of your brand’s mentions from different social media platforms (Facebook, Twitter, YouTube, Instagram, Google +) on one dashboard. You can observe which ones of your posts perform better, compare your social media campaigns, and compare your social media results to that of your competitors. Awario sends you emails with mentions of your brand (or any keyword you choose). And it also lets you reply in real time for real engagement. Automation can be rather addicting. Once you see that some things work without your involvement, your goal becomes to automate everything and watch series and eat popcorn for the rest of the week. Sadly, that’s not how it works. It’s necessary to keep a healthy balance with automation, making repetitive tasks automated and engaging tasks manual – at least while we haven’t invented better robots. But stay tuned! That’s all the tips I have for you today. Is there more? What tricks, tools, strategies do you use to survive as a social media marketer? Let me know in the comments!